Our company objectives include the requirement that we should attain and maintain top world class standards of performance in order to meet our business requirements. 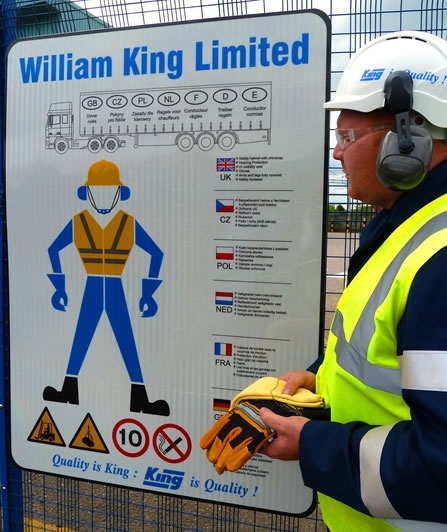 Matters concerning the Health & Safety at Work of ­all our employees, and others visiting the company, are of fundamental and primary importance and reflect directly on our being able to attain and maintain the top standards referred to above. Accordingly, therefore, the company commits itself to working with all its employees, so as to achieve best practice, best understanding and best application of Health and Safety standards throughout our operations. Basic Health & Safety at Work requirements are set down under the terms of the Health and Safety at Work etc. Act 1974, and various regulations and codes of practices set down under the terms of this legislation. Further, various “directives” have been adopted by the European Council of Ministers and these shall be amplified through further regulations and codes of practice.